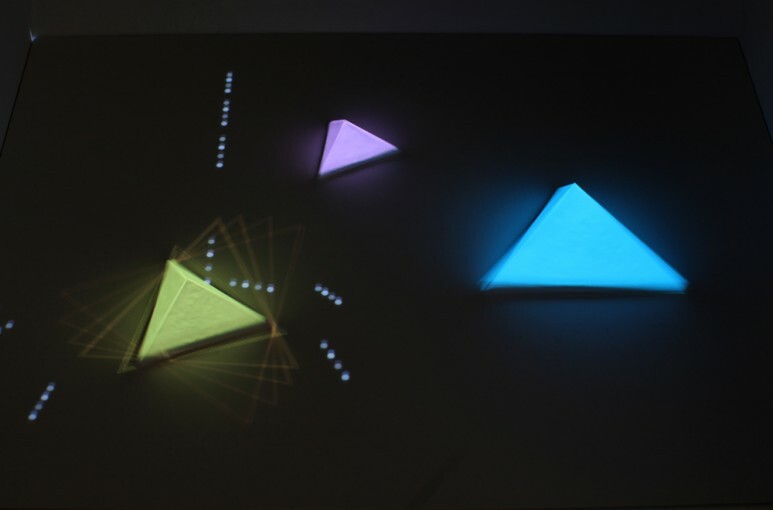 »Pyramid Cascades« is the result of video-mapping experiments during a semester at ECAL, Lausanne. 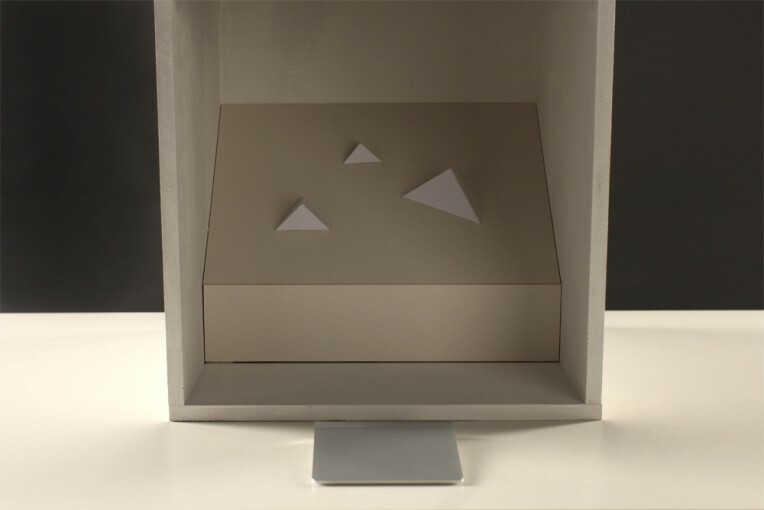 3D-objects made of polystyrene and paper, mounted on servo-motors build the projection surface for a beamer. 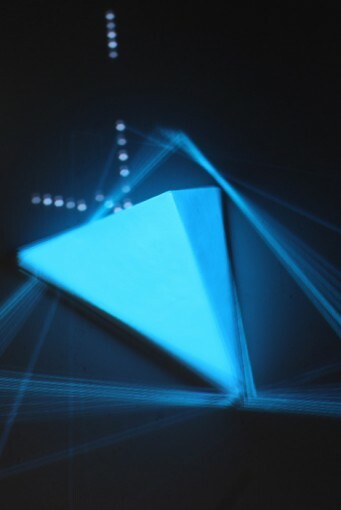 Virtual 2D-pyramids are mapped on these real objects. 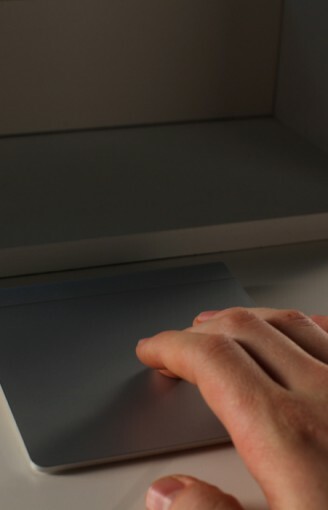 Via a trackpad the user can interact with the installation. 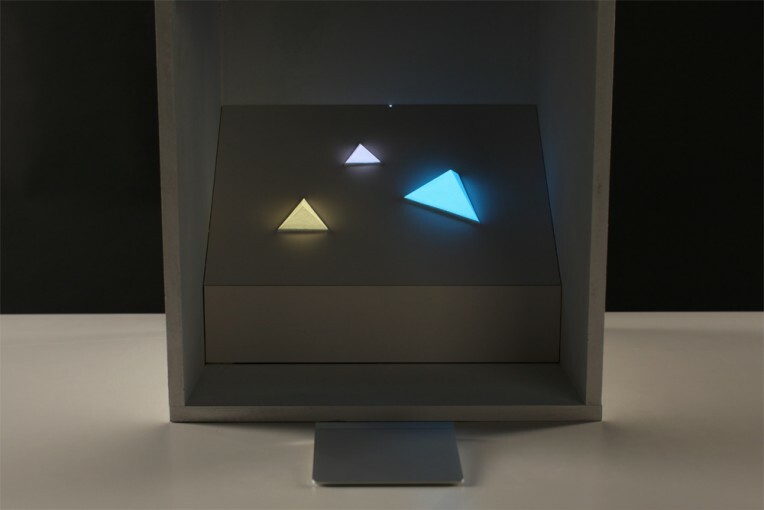 By moving the finger on the trackpad from left to right or vice versa, the real pyramids and the virtual pyramids rotate simultaneously, which creates an illusion of glowing pyramids. 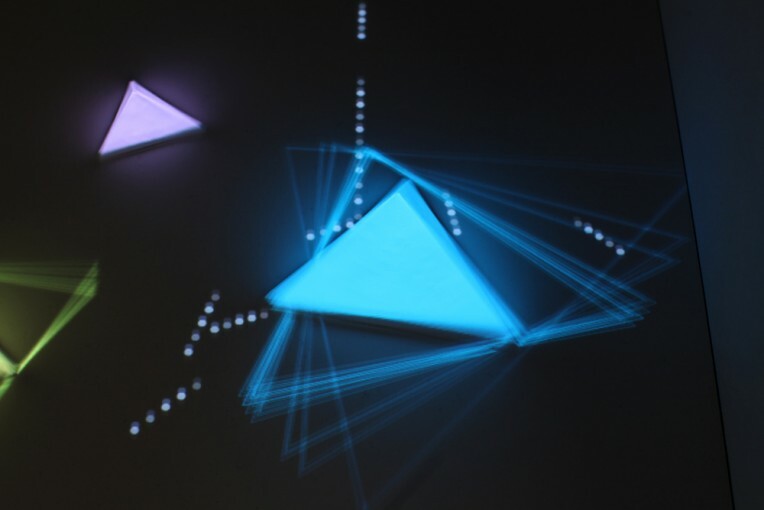 By clicking on the trackpad, small projected circles fall down from the top of the surface and collide with the pyramids. Every collision produces a synthetic bell-like sound, depending on the side and size of the hit surface. The circle-cascade works like a sequencer. Every dropped circle is repeated after two bars. To sum things up, this installation allows you to create melodies in a playful way. It has been realized as an adobe air application that communicates through a serial connection with an arduino-board to control the servo-motors. This serial communication was mainly maintained with the as3glue lib. For the 2d-physics the as3 port of the powerful box2D physics-engine by Erin Catto was used. The sound is synthetically generated by the air application with the Tonfall as3 framework by Andre Michelle. Thanks to all these people for sharing their great work!